The contents, commercial activities and services, in general, through the WEBSITE are subject to the terms and conditions set out in this “Legal Notice / (Data Protection)” (hereinafter, the NOTICE), and comply with the current Spanish legislation, in particular, with the mentioned LSSICE and the Law 15/1999 of December 13th on the Protection of Personal Data (hereinafter the LOPD). Consequently, the access and use of the website by anyone implies the attribution of a USER status, and the full acceptance of the terms and conditions contained in this NOTICE from the moment the WEBSITE is accessed. Access to the WEBSITE is free. The USER willing to provide their personal information through any existing forms will be included in files properly registered in the General Registry of Data Protection, which the HOTEL is responsible for. The purposes of the mentioned files from each form on the WEBSITE are the following: to serve information and booking requests from the USER, and proceeds to sending commercial information on services and offers of the HOTEL. Fields marked with an asterisk (*) are mandatory for the completion of the related application. The personal data provided by the USER will not be transferred to third parties and the HOTEL agrees to treat them with the utmost confidentiality and comply with security standards established by the current regulations. 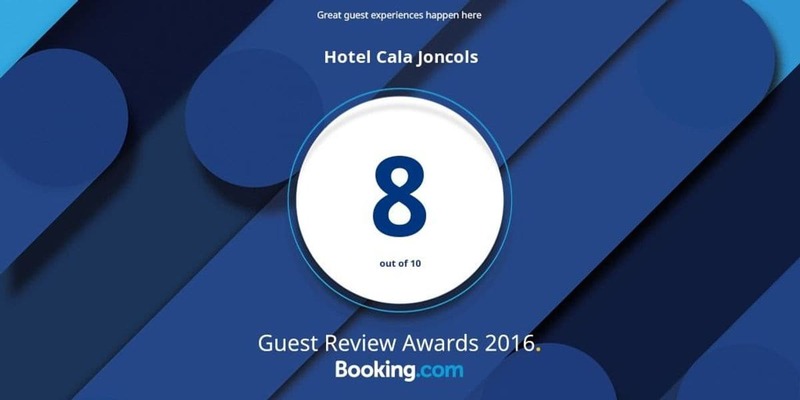 The USER may exercise the right of access, rectification, cancellation and opposition in the terms established in the current legislation, by writing to the HOTEL’s address, which appears in the general information of the legal NOTICE or to the e-mail address info@calajoncols.com. According to the LSSICE, the Hotel does not carry out Spam, therefore it does not send commercial e-mails that have not been previously requested or authorized by the USER. Subsequently, in each of the forms on the WEBSITE, the USER may give consent so that the required data can be used in order to send commercial information about the HOTEL’s services. This consent may Be revoked at any time by the USER by writing to the HOTEL’s address or the e-mail address: lopd@hotelvistabella.com. All trademarks, trade names or logos, as well as, the design, content and all elements (images, video, audio, etc…) that are part of the WEBSITE are the property of the HOTEL, and are protected by the laws of intellectual and industrial property. Consequently, the HOTEL does not authorize the adaptation, alteration or creation of information or material from the WEBSITE; nor its use for purposes other than personal (non-commercial). However, the USER is authorized to create links to the WEBSITE as long as the identity of the owner remains aware, does not involve a breach of the current legislation, and the web-pages or websites, where the link is positioned, do not violate morality, public order and good customs, and know the principles of non-discrimination, respect for human dignity, protection of youth and childhood, and generally, all other values/principles enshrined in Article 8 of LSSICE. The HOTEL reserves the right to order the USER to remove the links to the WEBSITE at any time or under any circumstances. This website uses No Cookies. The HOTEL is not the owner of other websites that can be accessed through links or hyper links placed on the WEBSITE. Therefore, the USER will access these websites under his/her own responsibility for its contents and conditions of use. The HOTEL is not responsible under any circumstances for damages arising from the illegal use or misuse of the WEBSITE. Additionally, the HOTEL is exempted from liability for any damages that may result from the access, playback, capture and transmission of content and services on the WEBSITE provided by third parties. The HOTEL does not guarantee the suitability, availability, or the accuracy of the information on the WEBSITE and can be upgraded, modified, or removed without previous notice, in any case, respecting the legal provisions of information.